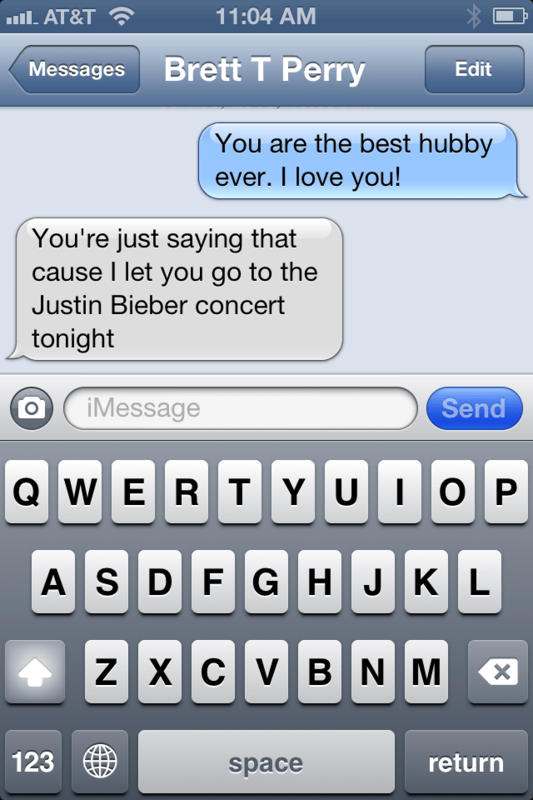 Seriously, my husband sent me this text the day of the concert! Too funny not to publish! UGH! My 12 year old Princess is obsessed with Justin Bieber. I kid you not – obsessed for a a couple of years and it does not seem to be fading. So when I heard he was coming to to the New Orleans Arena on January 15th, I pounced on 3 nosebleed seats. 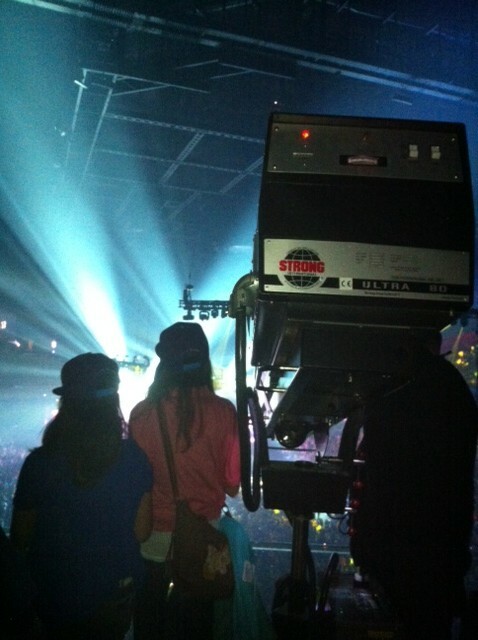 She is 12, this is her first concert, $300 and up seats and a chance to take a picture with him for even more money, was not going to happen. For Christmas, we put a note about the concert in her stockings as the last gift and she was out of control excited up until the very minute we went. She got to bring one friend, and of course with 12 year old girls, this selection process became some type of drama ordeal (rolling eyes here). 1. Dress Appropriately and eat before you go! When they say “Will Call” (and phew – last minute read the note to have the credit card I purchased with in my wallet) opens at 5, better check what time the damn doors to the event open. We stood outside in a cold drizzle until 6:00 with a gazillion fans. This was the oasis when I stepped in the door! 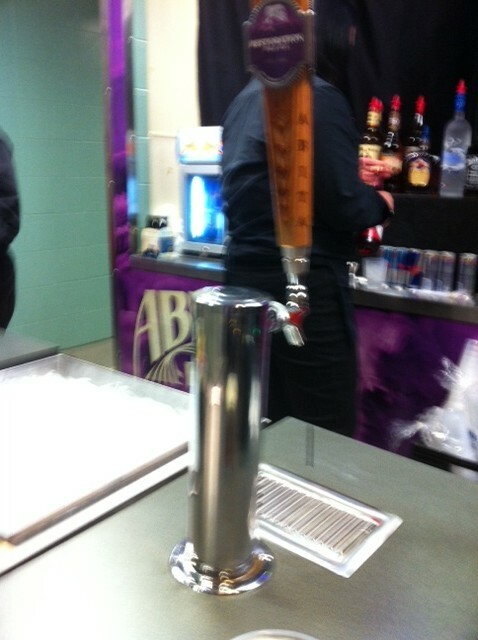 Thank goodness for beer to relax my nerves! Buy the overpriced T-shirts, program, hat, necklaces etc… ASAP. Yep – they run out of stuff! Chaching chaching! 4. Bring something to do! The opening act is who? Cody Simpson and then the Call Me Maybe chick…can’t wait! 1/4 of the arena is filled. 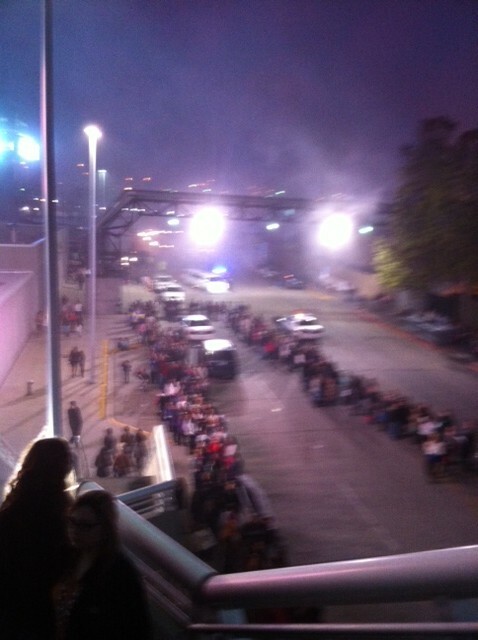 There was an HOUR wait between the 2 opening acts and the Biebs – seriously? Thank goodness I brought my iPad! Lots of bored parents around me! I brought the foam ones. If I ever have to go to listen to some music I care not to again – I’m investing in those $$$ noise canceling ones! 6. 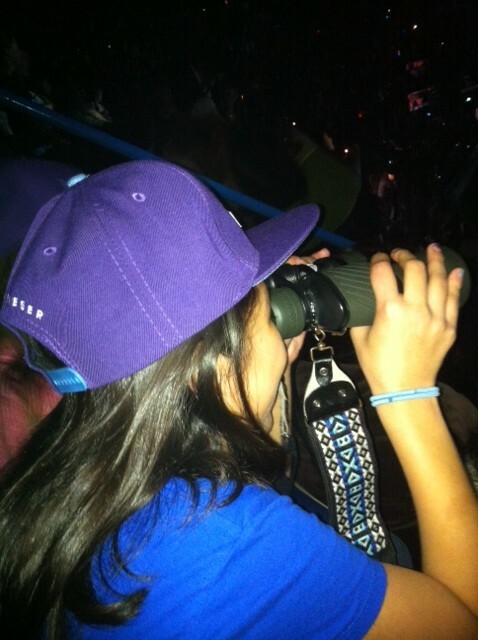 Binoculars are your friend! Your child will spend half the night recording, taking duck face pictures to post on Instagram and misc. stupid pictures. Once they run out of batteries, be prepared to film the ant on the stage with your camera! I can appreciate the musical talent of this kid, but with the overpowered bass and the screaming of a gazillion little girls – I could pass! “Come on kids it is over – let’s beat the crowd. Damn encores and he did a big one. We ended up waiting a looong time to get out of the parking garage with everyone and their grandmother! You may want to soon forget it – but they never will!